The dress is ivory silk, French lace runs diagonally across the bodice with pearls and crystals sewn into the lace. There is a small train with double ribbons to hold it. 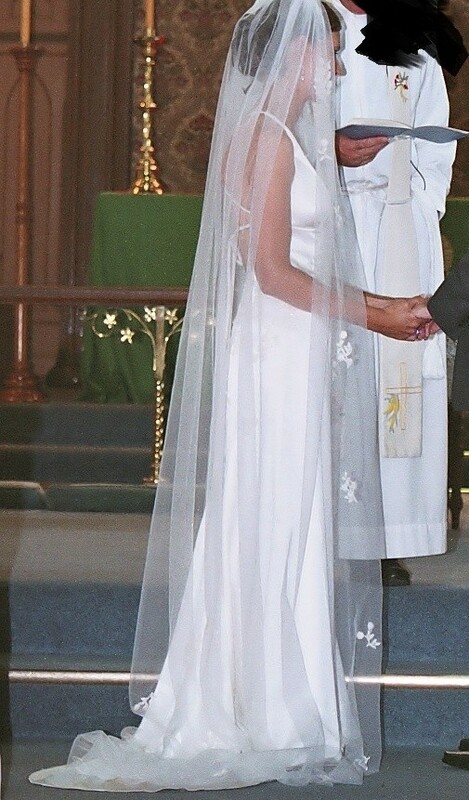 The veil is floor length with lace, crystals and pearls embedded into the edge the same as the dress. The dress is made for a size 10, 1.68 m tall female with 10B bra support. Measurements are Bra 89cm, waist 78cm, bum and hips (at widest part) 97cm. Price is negotiable.